Test setup at the work bench. Module 1 and the experimental module end are connected, hooked up, and have power. I tried with a a few locomotives and didn't run into problems. 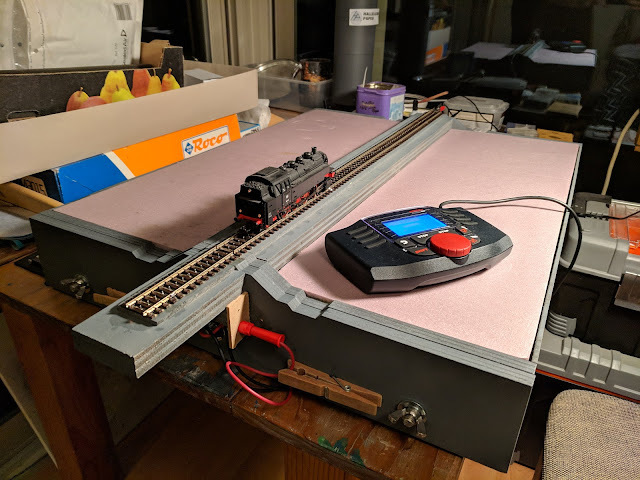 As mentioned before the real test will be with the turnouts on the next module. Moving on to painting the rails and ballasting. 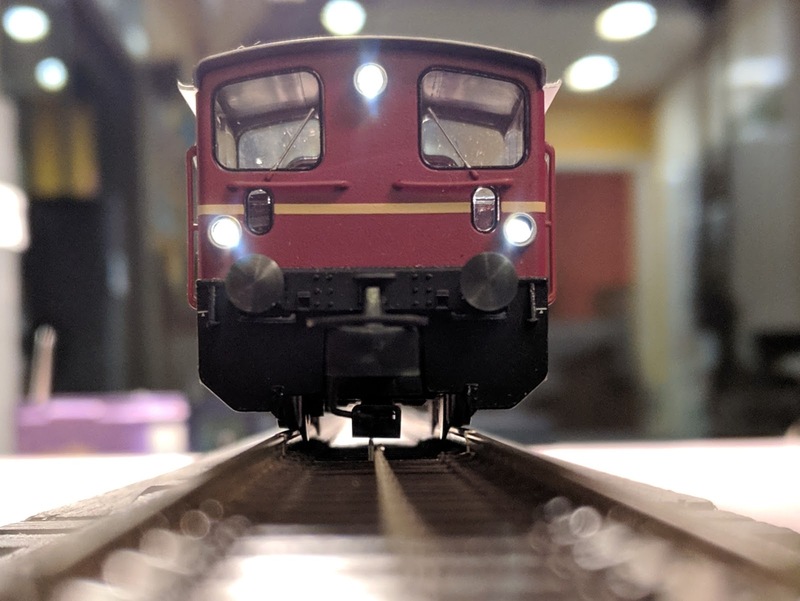 tolles Foto mit dem Eisenbahnwagen!